Kim Kardashian is said to be "loving" the direction Kanye West is pushing her in as the rapper begins to take more control of her career. 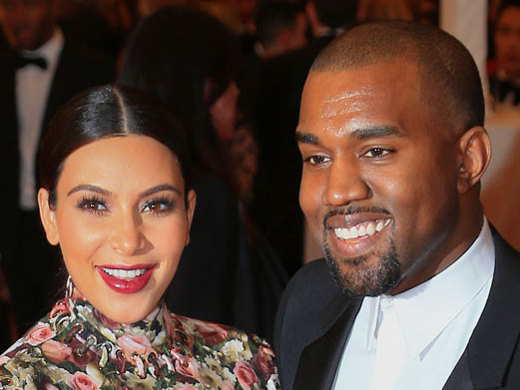 Kanye West is taking control of Kim Kardashian's career. The reality TV star is reportedly accepting her partner's influence and is moving away from her family's brand as she builds her own management team. A source told the New York Post newspaper, "Kim wants to set herself apart from the Kardashian PR machine and Kanye West advised her to build her own team." It’s also emerged the Keeping Up with the Kardashians star is "loving" the direction Kanye is pushing her in ? but she’s still trying to keep her paparazzi connections. Speaking to RadarOnline.com, an insider said, "Kim is letting Kanye revamp her entire lifestyle right now and she's loving the changes he's making, but she is still the same old schemer that she's always been! "Kim isn't going to ever stop secretly texting the paparazzi or the people she knows that can help her stay famous." It’s said Kanye would be furious if he knew Kim was going behind his back to make sure she stays in the public eye. The source added, "Kanye would be really mad if he knew that she's doing it, but Kim is still texting with paparazzos and talking to people that she knows will get her side of any story out. "Kim knows what made and kept her famous. She isn't going stop doing what she does, which is stay in the spotlight ? and that's no matter what she tells Kanye."